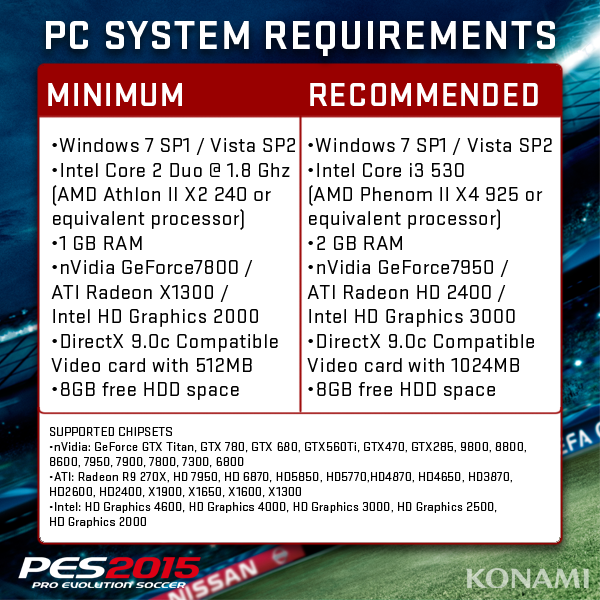 Konami finally announced the official PES 2015 PC system requirements today. The announcement was made via the official Pro Evolution Soccer Twitter account - "You ask, we listen" they said. Here are the official PES 2015 PC system requirements. The new PES 2015 PC requirements appear to be the exact same as last year's PES 2014 PC system requirements.